Nobles Funeral Home and Crematory announces the funeral services for Warren “Ray” Mayers who passed away Friday, October 19, 2018 at his home under the care of Hospice of South Georgia at the age of 86. Ray was born in Appling County on November 10, 1931, to Ed and Ellen Cain Mayers. He was a graduate of Baxley High School and North Georgia Technical College. He also served in the Air Force where he got to live in exotic places like Puerto Rico, Victoria, Texas and Cheyenne, Wyoming. 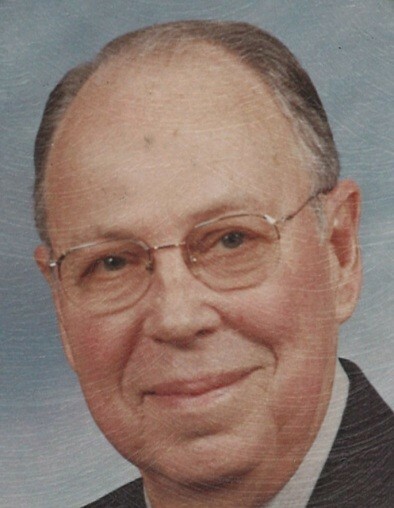 He was a faithful and involved member of Zoar United Methodist Church where he served on many governing boards. He was a farmer as well as a former employee of Plant Hatch, Bax Steel and Harris Waste management. He could design and build nearly anything simply by examining it. He was a gentle man, with a wry sense of humor. One had to listen carefully to catch something he said as it quickly flew by. Ray is survived by his children, Michael (Bedell) Mayers of Baxley and Cindy (David) Vedas of Valdosta, and four grandchildren: Katie Mayers, Colby Mayers, Ellen Vedas, and Allison Vedas Cooper; and a great-grandson, Carson Ray Cooper. He is also survived by his brother, Hugh Mayers of Baxley, and sister, Carolyn Bridges of Atlanta. Many nieces and nephews also survive as well as other extended family. His service will be held Monday, October 22, 2018 at 12:00 at Zoar United Methodist Church with the Reverends Steve Meguiar and Danita Knowles officiating. Visitation will be from 10:00 to 12:00 at the church prior to the service. Active Pallbearers are: Randy Kimbrell, Cameron Mayers, Colby Mayers, Joel Montes, Dwain Sellers, and Mickey Stone. Honorary Pallbearers are the members of Hospice of South Georgia. In lieu of flowers, the family is requesting a contribution be made to the Zoar Cemetery Fund, c/o Rita Boyette, 2915 Nail Rd., Baxley, GA, 31513. Nobles Funeral Home and Crematory is honored to serve the family of Warren “Ray” Mayers.